Pages From the Heart: Becky has it in the bag! And a Tutorial! 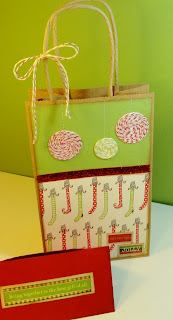 Today is Becky's turn to share a great way to turn an ordinary gift bag into something super fun, cute and special! Let's take a look! The first thought that came to mind when I learned of our gift wrap assignment for this month was to do a gift bag. 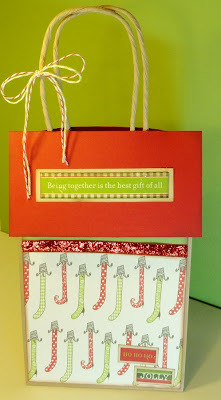 I found a plain kraft colored bag because I thought it would work well with the Canvas Corp Christmas line. 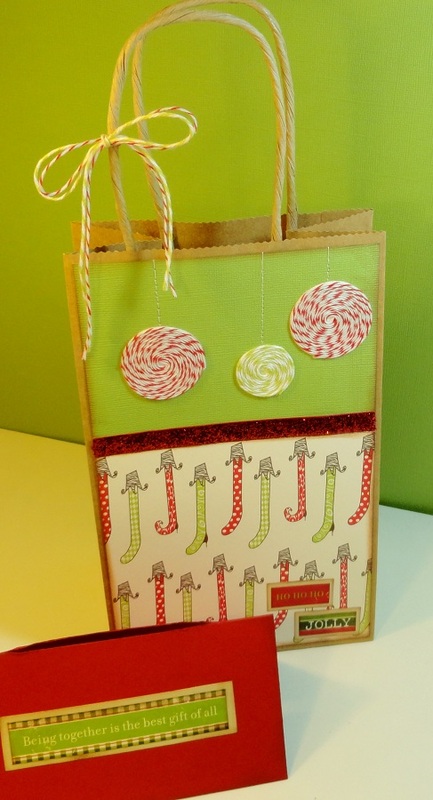 I covered the front of the bag and embellished with Authentique Notables from the Wonder collection, some very blingy red ribbon, and my twine peppermints. 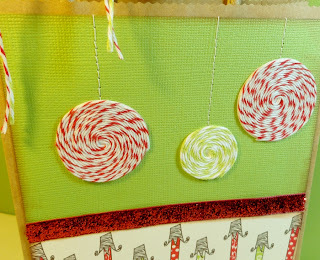 I turned the peppermints into ornaments by stitching a line on the paper (my first time sewing on paper! Yay!). 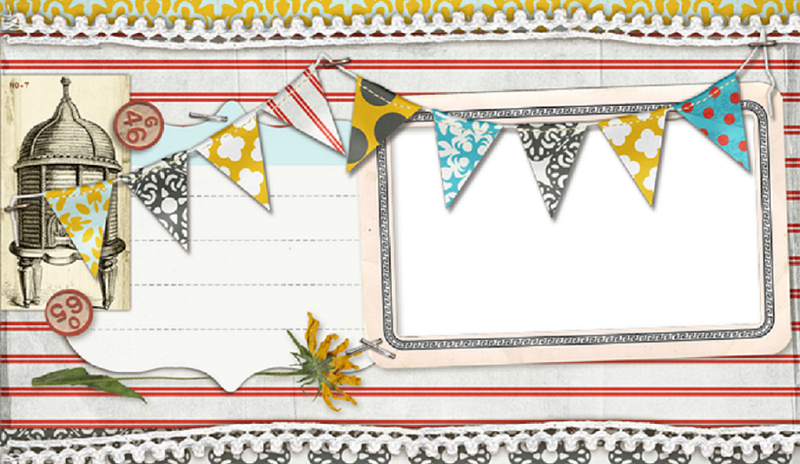 The top flap is red cardstock cut into a 4 x 5 1/4 inches piece and folded in half. I used a craft knife to cut a slit big enough to go over the handles. The whole top part comes off by sliding it over the small bow and handles. I was trying to think of something different to do with Baker's Twine and began thinking how much the red twine resembles peppermints. Looking through some of my old magazines, I saw a project with this idea and decided to run with it! I turned mine into ornaments because it worked with my project. 1. Punch a 1 1/2 inch circle. 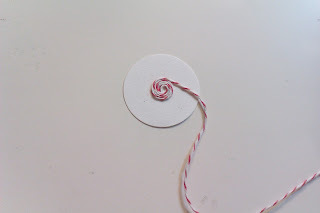 If you want something smaller, you can always cut the circle down once you have started twirling the twine. 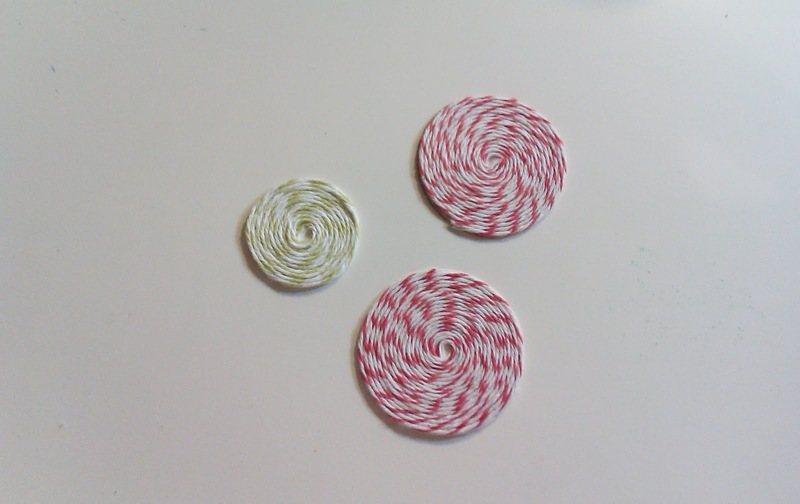 You want one side of the circle to be covered with adhesive. I ran mine through my Xyron but I'm sure double-sided tape would work nicely too. 2. 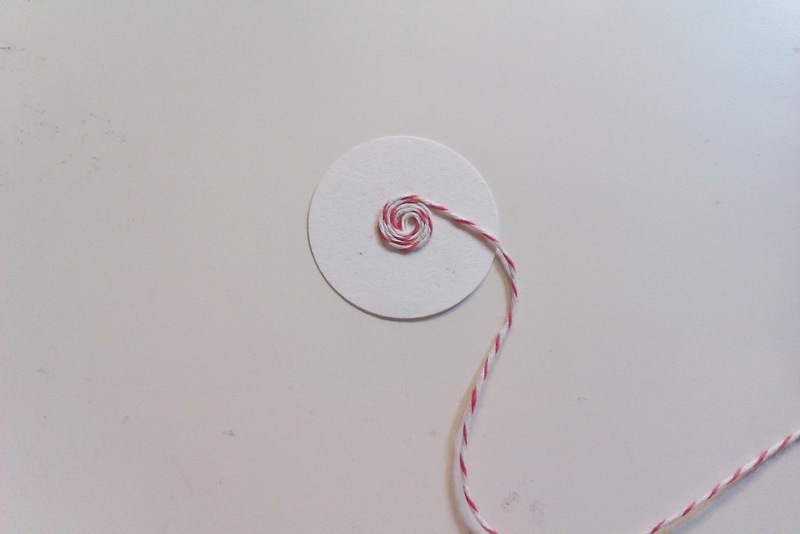 Beginning in the center of the circle, start circling the twine around, making sure it is adhering to the circle. Keep going until it is the size you want and simply trim off the edges. Thanks, Becky! 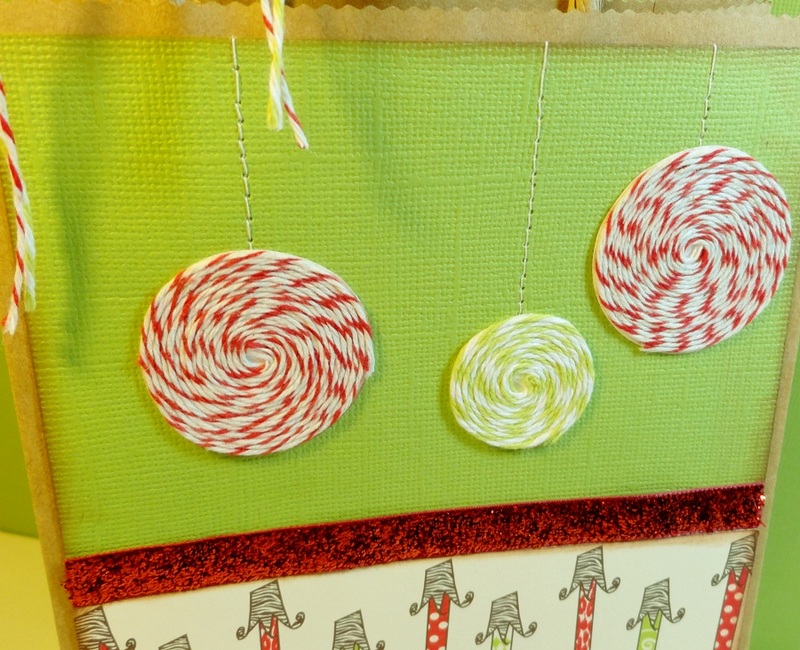 I love the peppermint candy's! 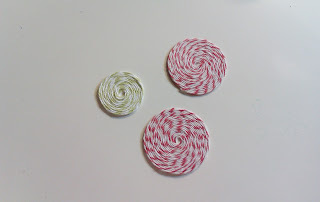 If you wanted to do a spin on these... you could also wrap them in cellophane, leaving a small amount of overhang on 2 sides and wrap with ribbon for a cute candy embellishment on a card or layout! See everyone back here tomorrow!